Sometimes, in spite of your best efforts, you are simply unable to keep a furry family member. We are unable to take owner surrenders. We do not have a facility in which to keep dogs, and are completely foster-based. We pull dogs that are at risk for euthanasia from local shelters whenever we have an open foster. 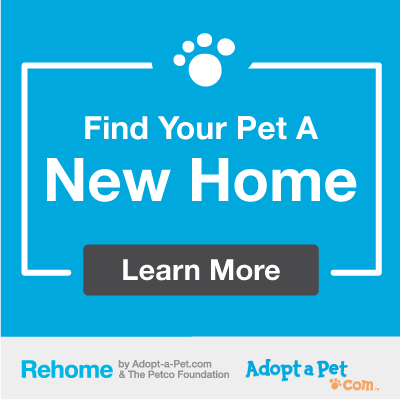 However, we recommend Rehome, which is a trusted national program that guides you through each step of finding your precious family member a new family to love. Click on the link to the right to learn more.